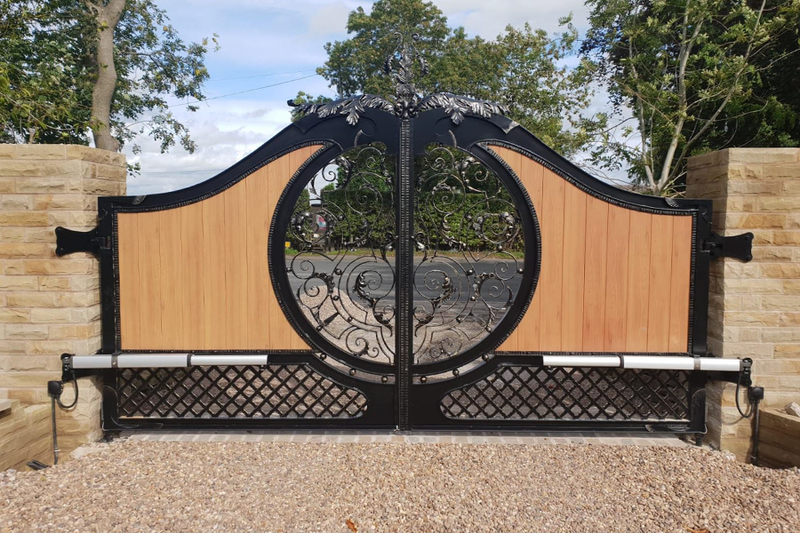 If you want the privacy and luxury look of a timber gate but do not want the hassle of maintaining them, these aluminium infill gates are the perfect & modern alternative to wood. 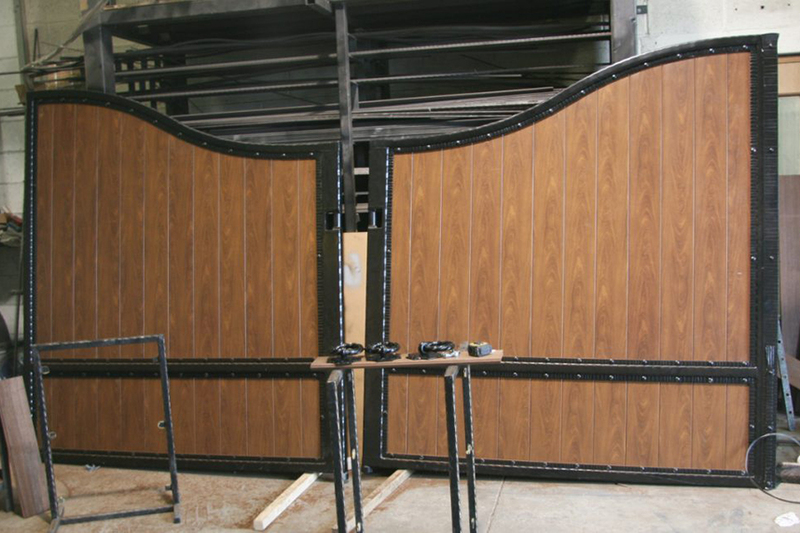 A traditional timber gate leaves our factory with several coats of UV protector. 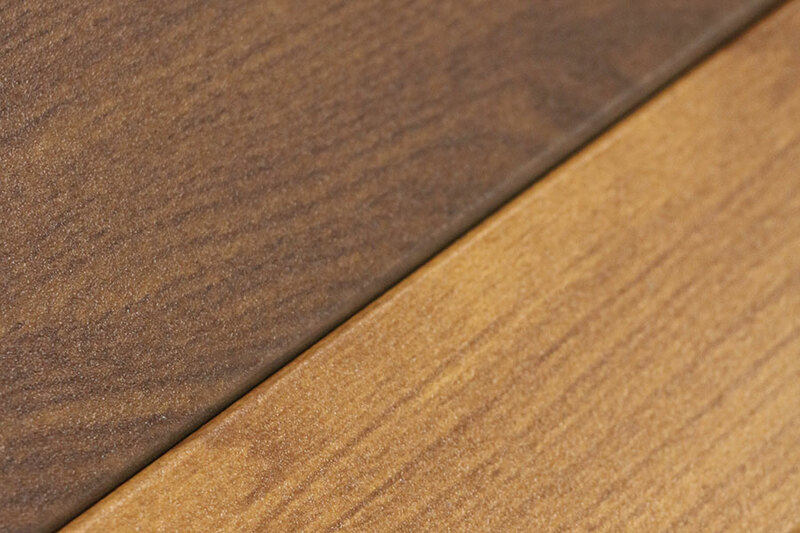 This not only seals the wood from the elements, it also protects it from sun damage which can fade the colour of the timber over the years. This protective coat keeps it looking like new but it does require reapplying every year. This involves a thorough clean, light sand down and application of a couple of coats of UV paint. 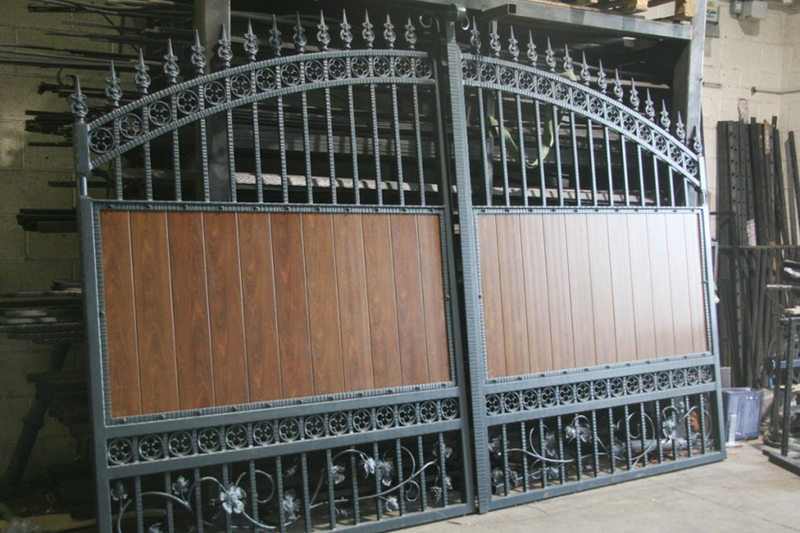 If this crucial maintenance is not done, the appearance and integrity of your gates will deteriorate over time. 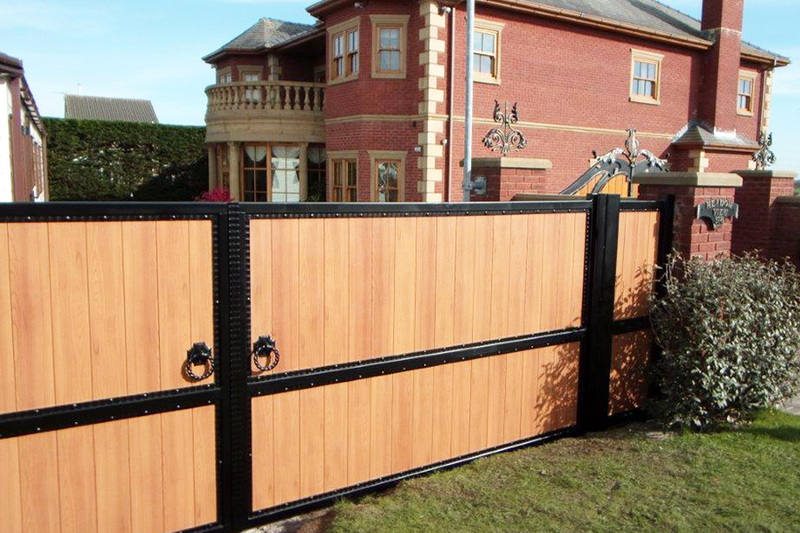 Perfectly designed to look like real wood, these hollow aluminium infills are lightweight and made so that no further upkeep is required. 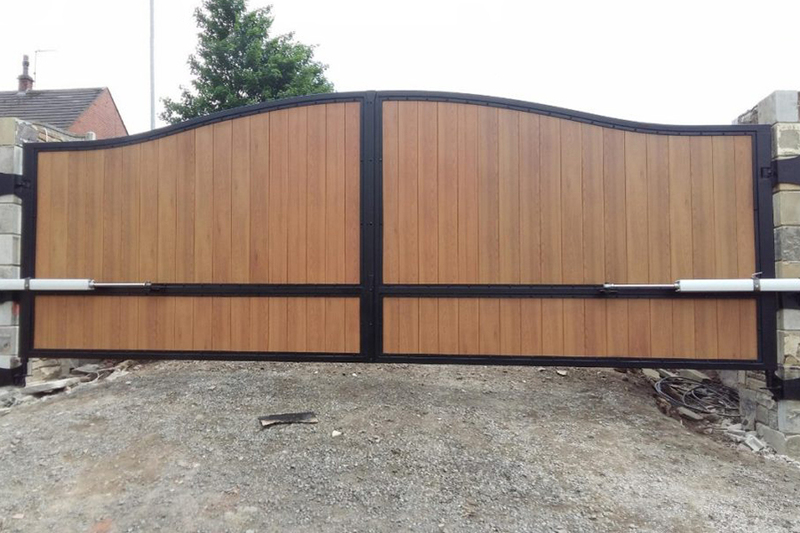 Textured to have a wood like appearance, the surface coating is durable and has been thoroughly tested in laboratory conditions against the effects of extreme UV, rain and sandblasting over a period of time. Beyond an occasional clean, these panels are guaranteed to look the way they left the factory for decades to come. 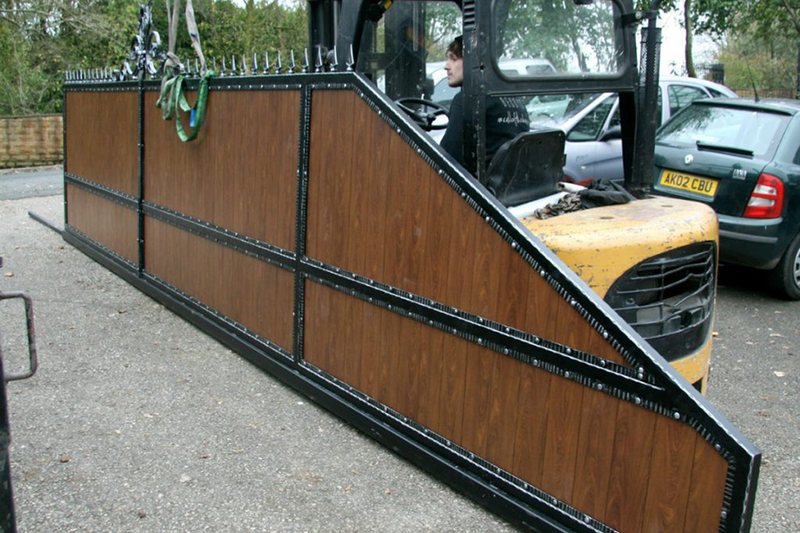 THE ALUMINIUM INFILLS COME IN A RANGE OF RAL COLOURS & TIMBER EFFECTS. 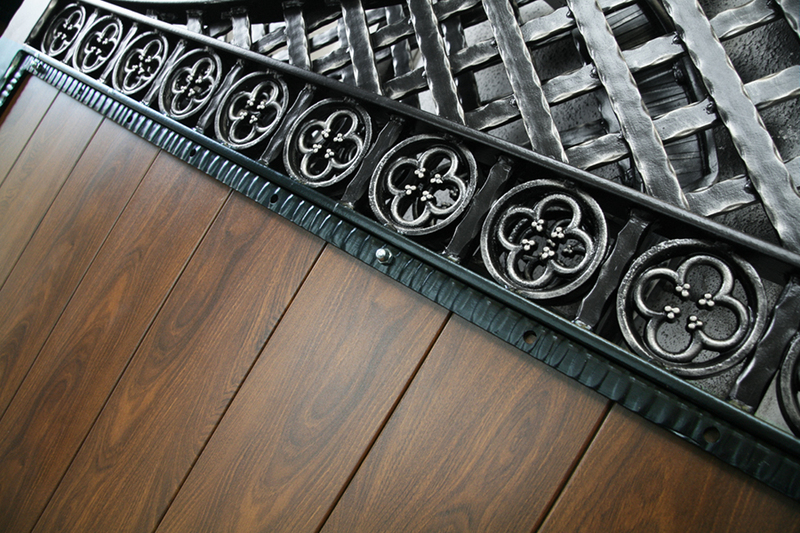 We are committed to quality, so we use only the finest materials that can be sourced. 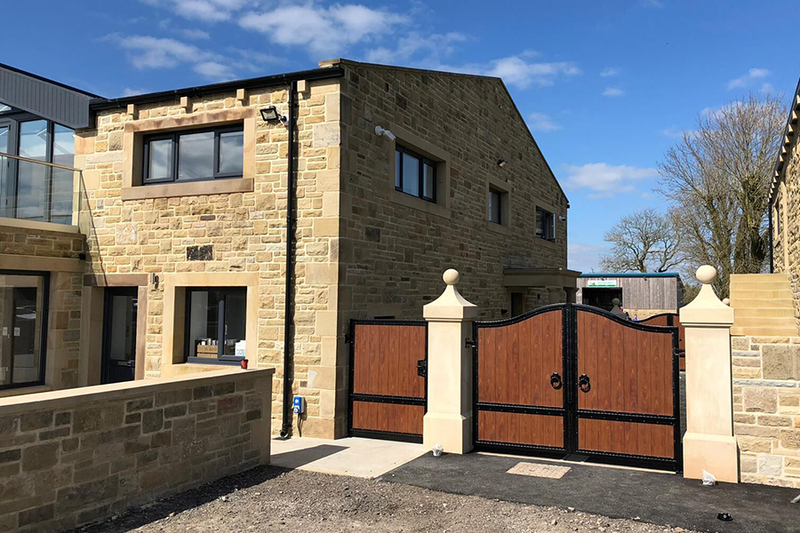 If you are undecided about whether to opt for timber or aluminium infills, why not pop in to our showroom where we can give you a guided tour of our factory, along with showing you real life examples of both materials to help you make your decision.